Why Do Bouncy Balls Bounce? Bouncy balls have been fascinating kids of all ages for decades. They can be flung into walls and bounced off floors, soaring high into the sky. These rubbery balls captivate the imagination leaving many to wonder just how they work. The answer lies in the simple physics of materials with elastic properties. For a ball to bounce, it must be made from materials with high elasticity so that they can maintain their shape instead of absorbing the impact of a toss by changing shape. The elastic properties reduce the amount of deformity that comes from an impact, making it more effective at bouncing. For this reason, bouncy balls are generally made out of rubber and other polymers that have elastic properties that can stretch and bend but won’t break. The harder the rubbery material, the better, as the molecules in harder rubbers don’t slide around much making them more efficient at bouncing. 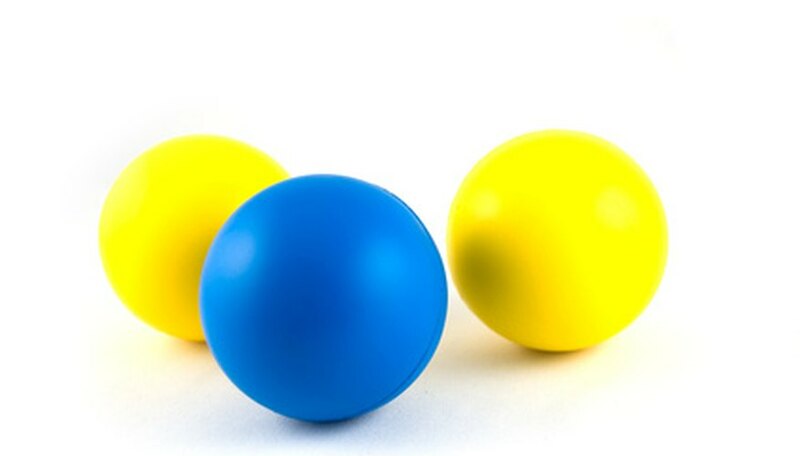 Materials with elasticity allow the bouncy ball to store energy when it hits the floor or other surface. That energy is then released, pushing the ball into the air over and over again. “A ball bounces the best when it springs back after being compressed, trading the potential energy it gets when squeezed back again for kinetic energy of motion,” according to the Department of Physics at the University of Illinois. Temperature also impacts the bounciness of a bouncy ball. A ball at room temperature will bounce higher than a ball that’s been frozen. What you bounce your ball onto also can impact how bouncy it actually is. Just as harder rubbery materials make for better bouncy balls, harder floors like concrete give a ball more bounce than a softer surface like grass or carpet. This is because the surface also adds kinetic energy to each bounce. The bounciest of bouncy balls, the Wham-O Super Ball, was invented by a California chemist named Norman Stingley. His Super Ball is made super bouncy primarily using a polymer called polybutadiene, which is heated to 320 degrees Fahrenheit and put under 1,000 pounds of pressure per square inch. This process makes a very hard yet springy material that is ideal for bouncing. Angele Sionna has been a professional journalist since 1995. She's worked as a producer, reporter and writer for national and regional TV, print and online media, including CBS, AOL Travel, Gayot.com and many others. She has a Bachelor of Journalism from the University of Texas at Austin and a Master of Science in journalism from Texas Christian University.